Keeping Docker releases up to date with Git releases today is a very manual process. 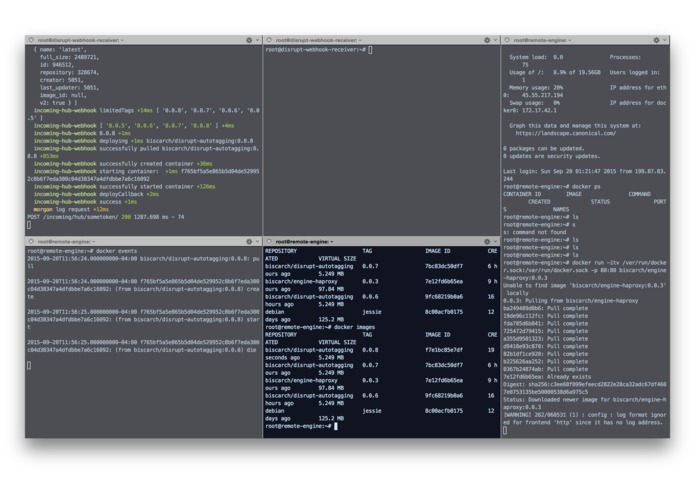 Creates an automated pipeline from git through testing to a Docker Registry. 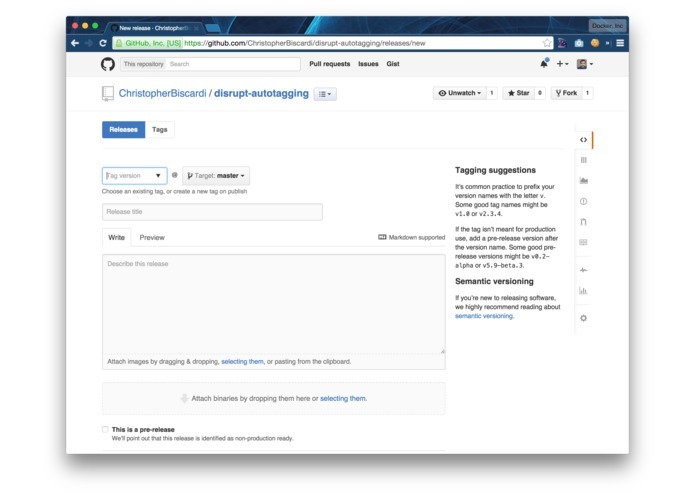 The pipeline automates tagging and releasing Docker Images with the appropriate git tag and optionally, automates deployment with optional rollback to previous versions. We wrote integrations with Circle and Docker Hub which talk to our product along the way. Once the entire build process is done, the Image is optionally deployed via direct integration with the Docker Engine Remote API. An agent living on the server of the users choice handles exposing the Docker Remote API. AWS took out both the Docker Registry and CircleCI while we were developing, forcing us to develop using Docker locally while waiting for the services to come back online. A git tag or a GitHub Release is the only action needed to trigger a release to a Docker Registry and a deployment to a node which the user can choose to provide themselves. The user can also redeploy any version at any time using a single http request. 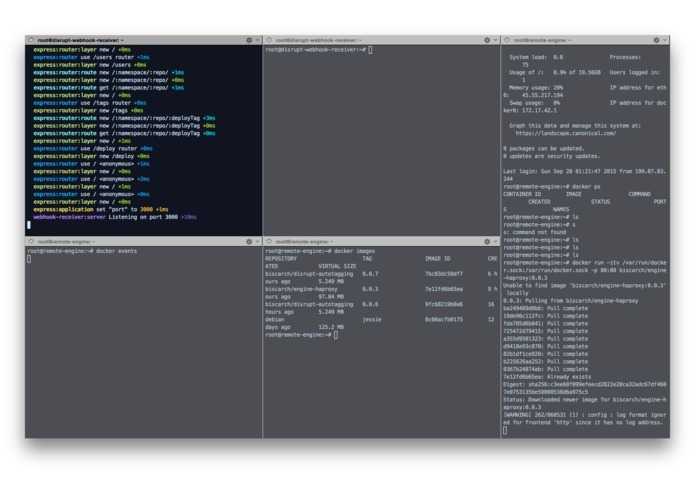 How to expose the docker socket for communication with the outside world. Slick, React-based UIs for the web and iOS. (We are UI engineers by trade). 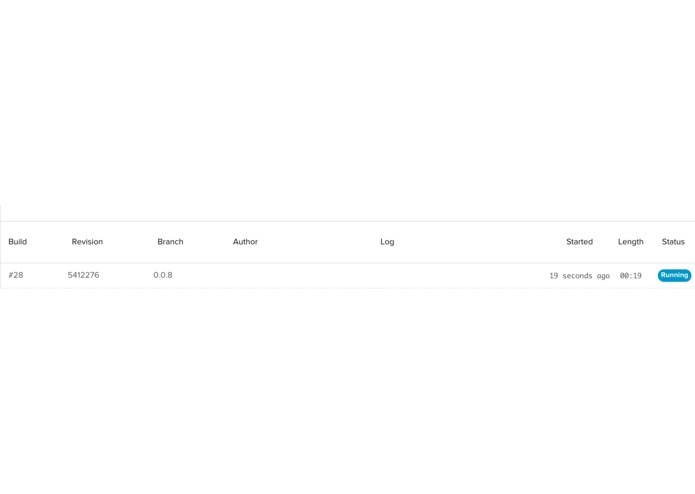 More sophisticated controls for sourcing Dockerfiles and choosing runtime options. I wrote the agent which exposed the Docker Remote API as well as the product server which handles webhooks and the deployment/direct communication with the Docker Remote API. I also wrote the CircleCI script to correctly handle git tags the way we needed to so we could efficiently handle rollback/arbitrary deployment of tags.